Manhattan College is an independent, private Lasallian Catholic institution of higher learning that embraces qualified men and women of all faiths, races, and ethnic backgrounds, whether they are beginning as freshmen or transferring. • Manhattan is one of 286 institutions in the United States with a chapter of Phi Beta Kappa, the nation’s most widely known academic honor society. • All three of Manhattan’s professional schools—Business, Education and Health, and Engineering—are nationally accredited. • The undergraduate Engineering programs—Chemical, Civil, Computer, Electrical, and Mechanical—are accredited by the Accreditation Board for Engineering and Technology (ABET). • The School of Education is accredited by the Teacher Education Accreditation Council (TEAC). • The O’Malley School of Business is one of more than 800 Business schools worldwide accredited by the Association to Advance Collegiate Schools of Business (AACSB International). • 18 alumni are members of the prestigious National Academy of Engineering, an impressive number for an institution of Manhattan’s size. • Manhattan is one of a few American colleges to have chapters of all five of these national honor societies: Beta Gamma Sigma, Kappa Delta Pi, Phi Beta Kappa, Sigma Xi, and Tau Beta Pi. • Of more than 4,000 colleges and universities in the United States, Manhattan is one of only 351 with Division I athletics. • Manhattan is one of only 182 colleges founded in the United States before the Civil War that is still surviving. • U.S. News & World Report ranks Manhattan 15th out of 145 in the Best Regional Universities (North) category of their 2018 “Best Colleges” list. This is the 11th year in a row the College has placed in the regional top 20. • U.S. News & World Report ranks Manhattan tied for sixth among 52 regional universities that are attractive colleges for veteran students. • Brookings rates Manhattan ninth out of more than 7,000 two- and four-year schools in an analysis that examines how well schools prepare students for successful careers. • Money magazine lists the College as #17 on its “50 Best Colleges That Add the Most Value” list for 2017. • PayScale.com rates Manhattan in the top 4% nationwide on its 2018 College Return on Investment (ROI) Report. • Forbes puts Manhattan among the top 100 Northeast colleges and the top 10 for Catholic colleges on its 2018 “Best Value Colleges” list. Established in 1853, the College was founded upon the Lasallian traditions of excellence in teaching, respect for individual dignity, and commitment to social justice inspired by the innovator of modern pedagogy. Students come to Manhattan from all walks of life. What connects them is their decision to make a smart investment in the future. 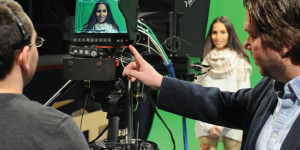 Manhattan College pairs personalized education with big-city opportunity. It is consistently ranked as a college that provides the best return on investment. With more than 160 years of history, Manhattan College is at the forefront of outstanding comprehensive colleges. Through the years, one constant has guided the College—the Lasallian Catholic heritage upon which it was built. 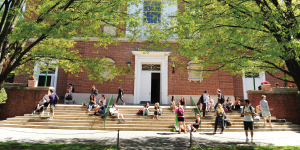 Manhattan College offers nearly 50 majors within the College’s six schools: Liberal Arts, Business, Education and Health, Engineering, Science, and Continuing and Professional Studies. A student-faculty ratio of approximately 12:1 allows students to receive individual attention and support and provides them with the knowledge they need to succeed in the classroom and workforce. Service learning is also a significant form of experiential learning and plays a role in the education of Manhattan College students. Following in the Lasallian traditions, many Manhattan College students actively define their commitment to social justice and community service by participating in immersion and service experiences around the city, country, and world. Each year, Campus Ministry and Social Action (CMSA) organizes its L.O.V.E. program (Lasallian Outreach Volunteer Experience), which gives students the chance to travel to some of the world’s poorest areas in New Orleans, Kenya, Ecuador, the Dominican Republic, and West Virginia to volunteer with people of different socioeconomic backgrounds. Closer to home, students involved in the Lasallian Outreach Collaborative (L.O.Co.) participate in ongoing, sustainable weekly service work throughout the year with various local community organizations, working to create lasting social change by responding to the expressed needs of the College’s community partners. Many freshmen have the opportunity to learn and live in a community through Manhattan College’s program, the Arches. More than 100 new first-year students begin their college years living together on the same residence hall floor, taking two classes with their floor mates, and exploring New York City by participating in community service and social and cultural excursions. The program facilitates student growth by fostering a community where students are encouraged to participate in activities such as team building, attending presentations by guest speakers, collaborating on assignments, and more. Students also have the opportunity to live in Common Interest Communities (CIC). The CIC initiative helps students connect with others who share their interests and forge friendships that will last throughout their college experience and beyond. The College offers many opportunities for study in other countries. Studying abroad represents an opportunity for intellectual, cultural, and personal growth for students, many of whom have never gone beyond the borders of the United States.